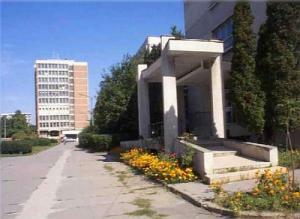 The National Institute for Laser, Plasma & Radiation Physics (INFLPR) is an independent, national importance research institution established by the Government of Romania. INFLPR was founded in 1977, with the mission to advance the knowledge in several strategic areas of the sciences and technologies related to laser, plasma, and radiation physics. In 1996 INFLPR was reorganized to include the Institute of Space Sciences (ISS). 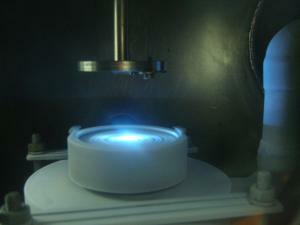 The institute employs 447 researchers and administrative staff to conduct frontier research ranging from basic photonic materials and high power lasers, nanomaterials and nanotechnologies, quantum dots and information technologies, plasma physics and X-ray microtomography to industrial photonics, biophotonics and plasma coatings. ISS branch conducts research on astrophysics, space engineering and gravitation. INFLPR is pursuing advanced scientific research funded by national and international agencies, private institutions and enterprises. INFLPR is currently a member of the EURATOM association, a partner in the Extreme Light Infrastructure (ELI), partner in LASERLAB EUROPE, ALICE, and a leader in many projects funded by the EU, NATO, and other international organizations. INFLPR's governing body is the Board of Trustees, which is assisted by the INFLPR Director and Board of Directors, and by a Scientific Advisory Board. The Institute currently consists of six large research departments, the Center for Science Education and Training and ISS branch.